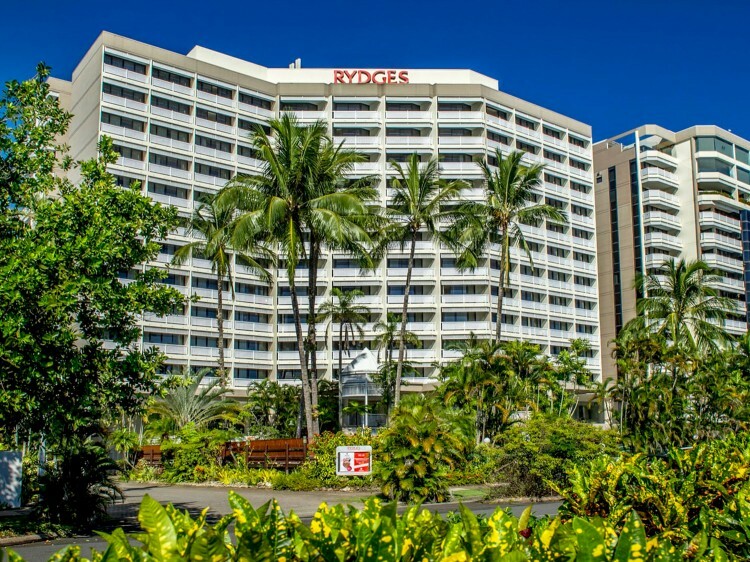 Rydges Esplanade Cairns Resort offers contemporary accommodation and friendly service in the heart of Tropical North Queensland. 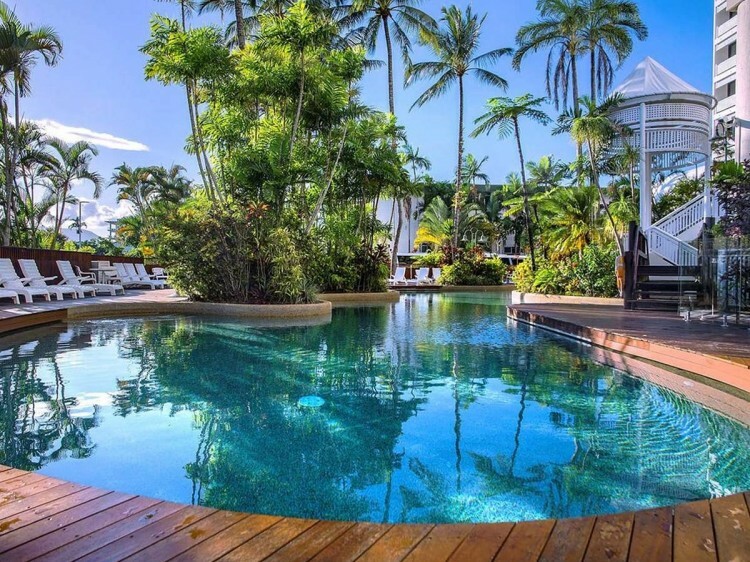 This Cairns resort features a range of delightful amenities to suit all travellers, including three resort swimming pools. 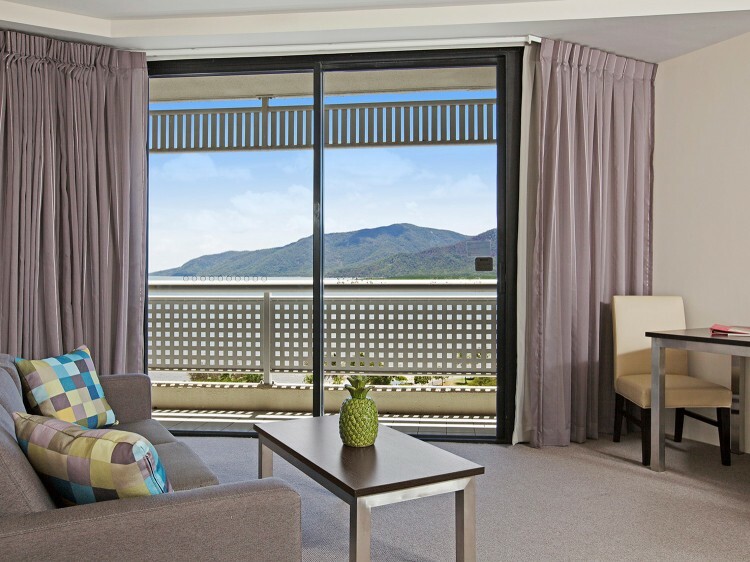 Rydges Esplanade Cairns Resort offers superb resort facilities, including three swimming pools. Take full advantage of Queensland’s tropical weather and book time on the tennis courts, or unwind in the spa, sauna or fully equipped gymnasium. Take care of business in the purpose-built conference centre, hosting up to 300 people for meetings and events, or tropical weddings. Unwind after a long day at CHB Restaurant & Bar or kick-back in your room an indulge in 24-hour room service. 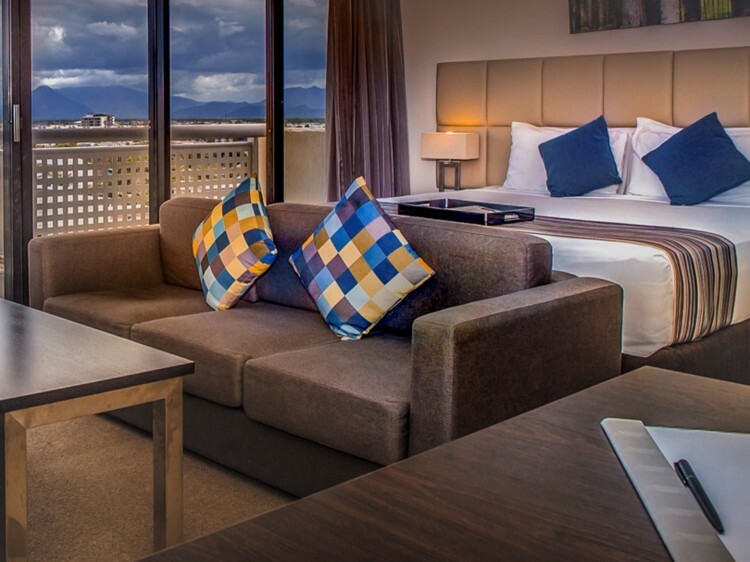 Resort rooms and suites are spacious and bright, all with private balconies and stunning views over the Coral Sea, Mountains, or Cairns city. All rooms feature private balconies, air-conditioning and ceiling fans, work desk, LCD TV, free WiFi, hairdryer, iron & ironing board, and tea & coffee making facilities. Specially designed family rooms include a queen bed and separate kids zone area with bunk beds – each featuring a personal 15″ TV linked to X-Box gaming system! Semi-self contained studio, one, and two bedroom apartments are available with in-room kitchenettes, or fully-self contained one, and two bedroom tower apartments with full kitchen and laundry are available. Coral Hedge Brasserie Restaurant & Bar, or CHB to the locals, is open 7 days a week and offers breakfast, lunch and dinner. A sumptuous buffet breakfast is available from 6am to 10am daily. with lighter options and a la carte also available. Lunch is available from 11am to 3pm daily. In the afternoons between 3pm and 6pm enjoy a range of tapas at the bar. Enjoy the locally famous Fire & Ice Seafood Dinner buffet from 6pm to 9pm daily.